When you’re looking to replace your flooring on a budget, laminate flooring is high up on the list of flooring options. It’s for a good reason too. Laminate flooring is very easy on the budget, looks great, and is highly durable. When looking to estimate how much a specific flooring will cost you, the first thing you have to do is figure out how many square feet you’ll need. To get your square footage, you measure the length and the width of the room and then multiply the two numbers together. All flooring is sold in square feet, which makes it easier to compare the different prices of flooring. 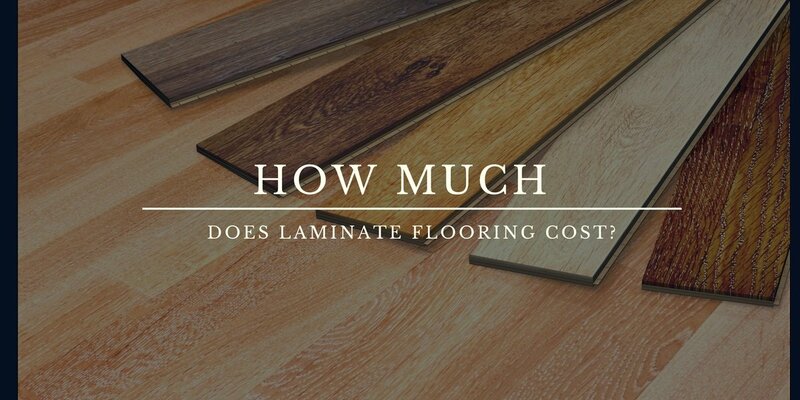 Laminate flooring will usually run between $1-$5. The main difference between a cheap laminate ($1/sqft) and more expensive options are going to be quality. Cheaper laminates are going to be thin with a thin wear layer. The wear layer is the top layer of the flooring that protects it from getting scratched and damaged. A thin wear layer is not going to hold up well in high traffic areas, and it could be easily damaged. Premium laminate flooring will be more durable. Some even have a waterproof core that will help to protect it from water damage. Besides paying for the laminate flooring, you’ll also need to have it installed. If you get it professionally installed, it could cost anywhere from $1-$3, depending on the complexity and installer you use. Laminate flooring is also one of the easiest floorings to install yourself. If you have a weekend and are a DIYer, you can easily install it yourself. This is one area that you can save a lot of money over other floorings, such as carpet or hardwood. Laminate can also go over many existing flooring types, which can save you money on flooring removal and subfloor repair/conditioning. Laminate flooring is a great flooring option if you need new flooring on a tight budget. Not only is it one of the cheapest options out there, it is easy to install yourself, saving you a lot of money. It is also durable and holds up well to heavy traffic.